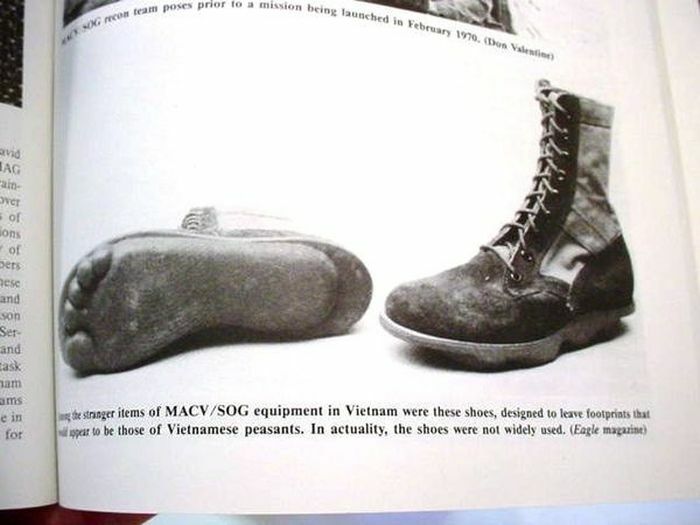 During the Vietnam war US Special Forces units MACV / SOG wore special boots designed to special footprints to fool their enemies. "In actuality. 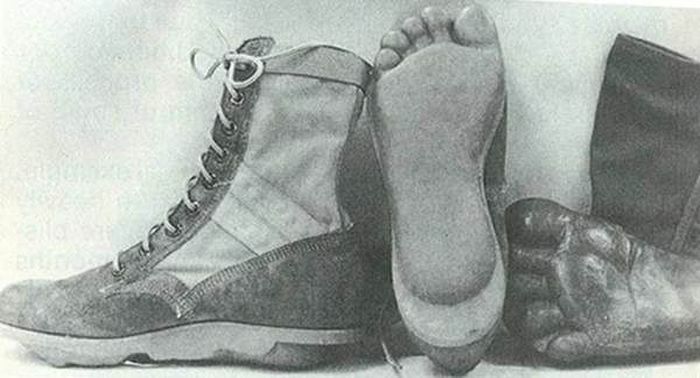 the shoes were not widely used". Getting the facts straight can be difficult. But not when the facts are ON THE PICTURE you're posting. Yeah, these were almost never used. We thought we could bomb the vietcong into submission not out smart them. Its why we lost and so many good men lost their lives for no good reason other than fighting a proxy war with Russia.